Russian Federation Council adopts bill on appeals courts | Russian Legal Information Agency (RAPSI). MOSCOW, July 24 (RAPSI) – The Federation Council has passed a bill on establishment of independent cassation and appeals courts of general jurisdiction in Russia, the statement of the higher chamber of Russia’s Parliament reads. The State Duma, the Parliament’s lower house, adopted the bill in the third and final reading on July 17. The bill has been drafted by the Supreme Court of Russia. Amendments are proposed to laws "On the Judicial System of the Russian Federation", “On Courts of General Jurisdiction of the Russian Federation”, “On Military Courts of the Russian Federation”, and “On the Supreme Court of the Russian Federation”. 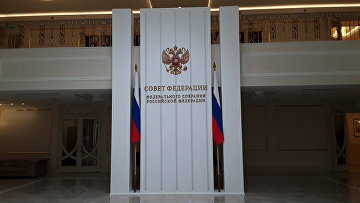 The bill envisages creation of 9 cassation and 5 appeals courts of general jurisdiction within the relevant judicial circuits that involve territories of several subjects of the Russian Federation. According to the Supreme Court, it is necessary to create certain judicial levels for establishment of independent courts considering appeals. Currently, the legality of judgments is being considered by courts issuing these rulings. President Vladimir Putin earlier supported this initiative stating that creation of cassation and appeals courts would give new opportunities for appealing judicial acts and enhance independence of these instances. 13:37 24/07/2018 The Federation Council has passed a bill on establishment of independent cassation and appeals courts of general jurisdiction in Russia.